Children in hurricane-hit Texas, Puerto Rico ask pope, Why? “When these misfortunes happen to us, we cannot forget that the father loves us,” the pope said. “‘But no, we want to build a pipeline so that we can make more money.’ Yes, why do you need money? So that you can pay for the funeral service because that is where this will take you, your country, the earth and all of us. Care for the earth!’ the pope said. Pope Francis also spoke with children from Loiza, Puerto Rico, one of the poorest areas on the island that was devastated by Hurricane Maria one month ago. 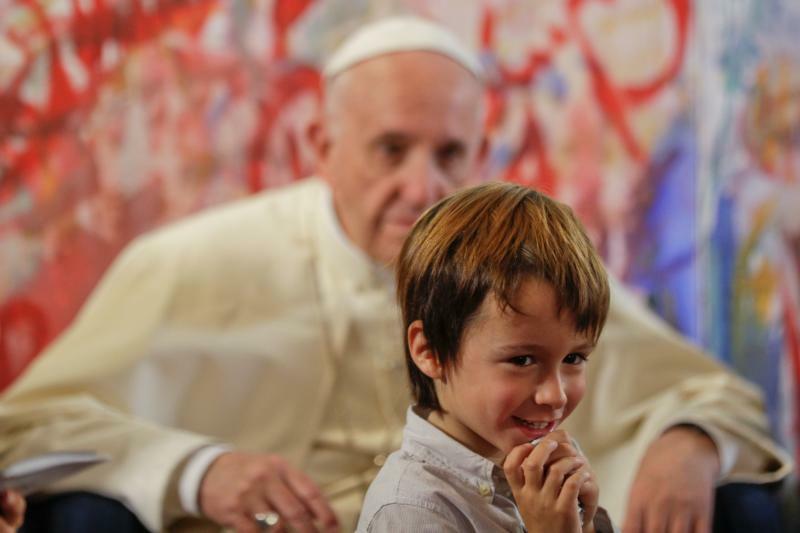 The young girl cracked a little smile as Pope Francis laughed at the directness of her question.